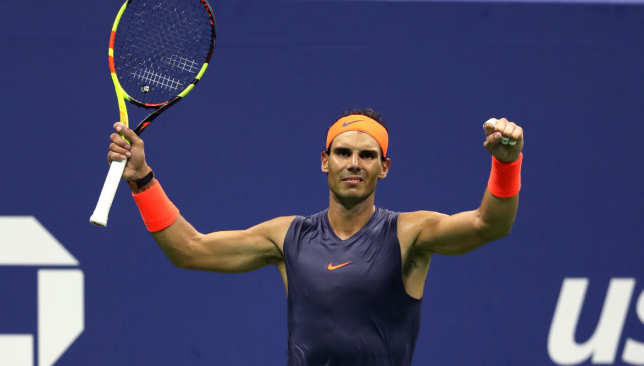 Rafael Nadal recovered from a first-set bagel to defeat Dominic Thiem and reach the US Open semi-finals following another late-night classic in New York. Twenty-four hours after Roger Federer fell to John Millman, his old rival avoided following him out of the tournament, but only just, completing a 0-6 6-4 7-5 6-7 (4/7) 7-6 (7/5) victory at 2.03am. 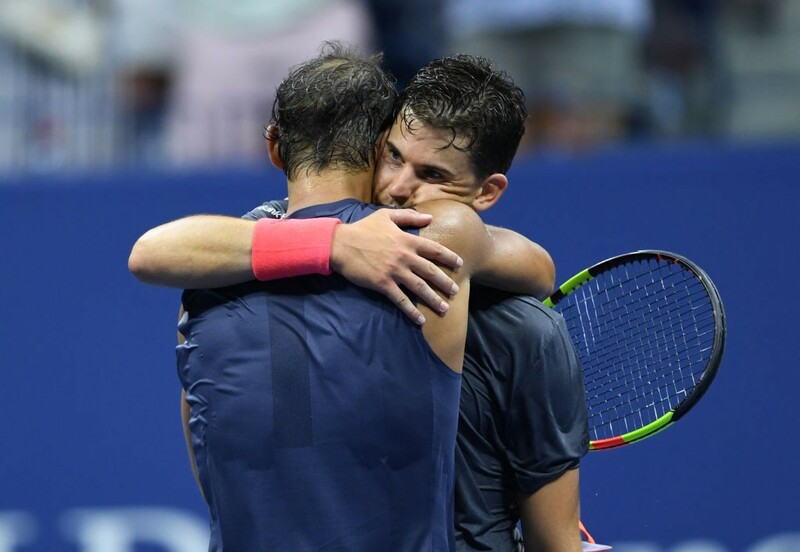 Ninth seed Thiem became the first player since Andy Roddick in 2004 to win a love set against Nadal in New York but the defending champion once again dug deep to come out on top of a gruelling battle played in more punishing humidity. Nadal will now face third seed Juan Martin del Potro, who defeated John Isner, in a repeat of last year’s semi-final. Remarkably, Thiem was the first top-20 player Nadal has faced at Flushing Meadows since his final win over Novak Djokovic in 2013, with last year’s title seeing him take on a succession of unexpected opponents. And Thiem, the only man to beat Nadal on clay for the last two seasons, set about showing his opponent he meant serious business in his first grand slam quarter-final outside of the French Open. The Austrian blasted 13 winners, made only two unforced errors and allowed Nadal just seven points in winning an extraordinary opening set. It was only the fourth time in his long grand slam history that Nadal had lost a set 6-0 and just the third time at any level in nearly seven years. But the last time, against Philipp Kohlschreiber in Miami last spring, he fought back to win the match. Nadal’s ability to look only forward and forget what went before is one of his most important strengths and he set about turning around the match, closing in on the baseline, forcing Thiem to play one more ball and, eventually, to go for too much. The Spaniard secured the break he wanted for 5-3 only to give it back but a sloppy game from Thiem, who turned 25 on Monday, handed him the set anyway. The momentum was with Nadal but Thiem regrouped in the third set and began to again blast winners into the corners. But, as in the second set, when the time came to keep his foot on Nadal’s throat, he instead loosened the pressure and lived to regret it. Rafael Nadal embraces Dominic Thiem. Thiem was broken serving for the set and then could not hold on for the tie-break, saving two set points but not a third after planting a volley wide with the whole of the court available. The fourth set was a wild 81-minute ride that began with Thiem facing break points, saw the Austrian threaten a double break before being pegged back and then a weary Nadal miss a chance to win the match. With Thiem serving at 5-6 30-30, a desperate lunging forehand looked to be easy pickings for Nadal at the net only for the 32-year-old to net it. Thiem held on for the tie-break, where another unexpected Nadal error, this time a short forehand into the net, sent the match into a deciding set. With the clock ticking towards 1am and transport options dwindling, many fans headed for the exits while the two adversaries battled on. Having looked the more weary of the two, it was Nadal who was applying the greater pressure and at 5-5, 0-40 it seemed this was his chance. But Thiem saved all three break points before denying Nadal a fourth opportunity with a stunning volley at the end of a remarkable point. That they were still able to produce tennis of such quality was astonishing. There was no let-up in the tie-break and, after four hours and 49 minutes, it was Nadal who claimed victory when Thiem sent a smash long. Out of the US Open: Roger Federer. 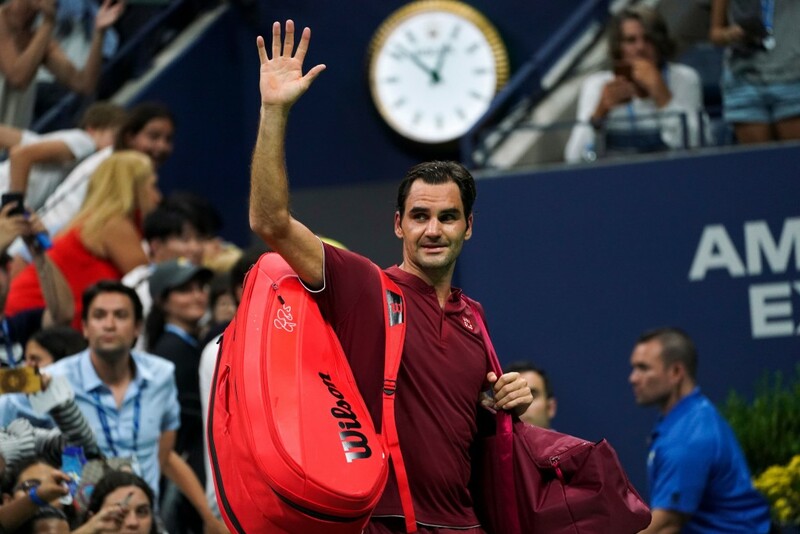 Roger Federer said he was relieved the match was over after struggling in humid conditions and falling to one of his most surprising losses against John Millman at the US Open. Federer, perhaps looking and sounding his age, said: “I just thought it was very hot tonight. It was just one of those nights where I guess I felt I couldn’t get air. There was no circulation at all. For some reason I just struggled in the conditions. It’s one of the first times it’s happened to me. “It’s uncomfortable. Clearly you just keep on sweating more and more and more and more as the match goes on. You lose energy as it goes by. “But John was able to deal with it better. He maybe comes from one of the most humid places on earth, Brisbane. I knew I was in for a tough one. Maybe when you feel like that, as well, you start missing chances, and I had those. That was disappointing. “But, look, at some point also I was just happy that the match was over, I guess. “When you feel like that, everything is off. But I’ve trained in tougher conditions. I’ve played in the daytime at 120(F). Some days it’s just not the day where the body can cope with it. “I do believe since the roof is on that there is no air circulation in the stadium. I think just that makes it a totally different US Open. “I wish I could have led two sets to love and then maybe the match would be different and I would find a way. It was just tough. I thought John played a great match in difficult conditions. @johnhmillman stuns Roger Federer 3-6, 7-5, 7-6(7), 7-6(3) at the #USOpen to reach his first Grand Slam quarter-final. Millman is having the best year of his career having struggled with several injuries over the years, most seriously a shoulder problem in 2013. He spent part of the lay-off working for a friend’s finance company and wondering whether his tennis career was over. John Millman will play Novak Djokovic in the quarter-finals. 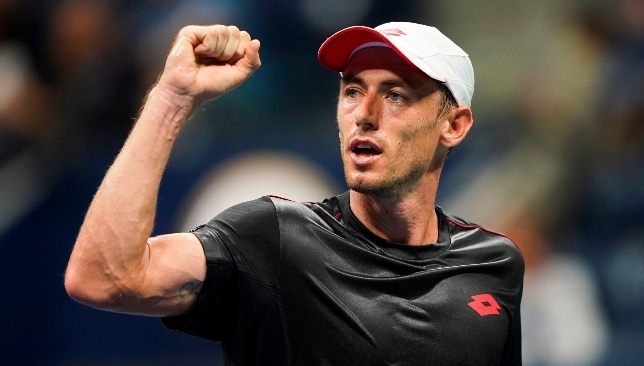 Unheralded Australian John Millman pulled off one of the all-time great tennis shocks by defeating Roger Federer to reach the US Open quarter-finals. Millman had been given barely a sniff before the match, with excitement already building for a last-eight clash between Federer and Djokovic. 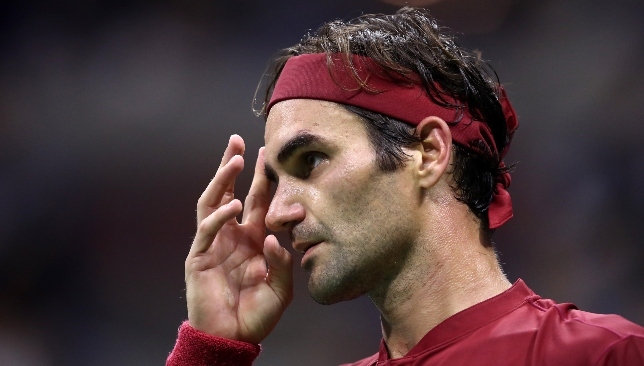 While Millman produced the performance of his life, Federer gave one of his poorest performances on the big stage, struggling with all parts of his game and making 76 unforced errors. It was the 37-year-old’s earliest loss at a slam since the Australian Open in 2015 and the first time he has ever lost to a player ranked outside the top 50 in New York. Federer had struggled with his timing in the early stages of his previous match against Nick Kyrgios before clicking into gear, but against Millman he just could not find his game. His serve, in particular, was way off during the first two sets. In the second game of the second set he faced seven break points and landed only four of 22 first serves but still held. And at a set and 5-4 up with two set points on his own serve, it seemed this would simply be a case of Federer grinding out a relatively straightforward victory. Roger Federer exits the Arthur Ashe Stadium court. But the two set points came and went and a double fault gave Millman the break back. Two games later, Federer was facing set point against him, and he blazed a backhand long. Federer, renowned as the man who never sweats, was perspiring heavily and it was not entirely down to the extreme humidity. Millman, ranked 55, could not be less like his compatriot Kyrgios. A universally popular player who has built a successful career, despite several serious injury setbacks, on never giving an inch. And, as Federer continued to struggle, the Australian’s confidence grew. Had the 20-time grand slam champion’s serve not improved, he might have lost the third set before the tie-break. Millman cursed himself for missing one set point but threw everything into a series of forehands to bring up a second and forced Federer into another error. The crowd on Arthur Ashe, who were overwhelmingly behind the Swiss, could not believe what they were seeing. Federer had so little confidence in his groundstrokes he was playing drop shots nearly every point, with mixed success. A chink of light arrived with a break for 4-2 only for more mistakes to hand it straight back. Successive double faults put him firmly on the back foot in the tie-break and there was no way back.